Giant Eagle stores provide quality service and fresh groceries to many people in the northeastern United States. One particularly popular department of Giant Eagle stores is the bakery section because they create custom cakes, donuts, cookies and pastries for special events. These custom Giant Eagle cakes come in many designs, sizes, and shapes. 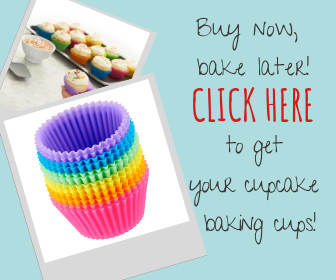 Thus, you can easily find something to celebrate a birthday, graduation, wedding or shower. Giant Eagle cakes prices can be as cheap as $12 or as expensive as $80, depending on the style of cake you select. In this article, we will provide detailed information about the Giant Eagle cake prices and designs, and how to order them. 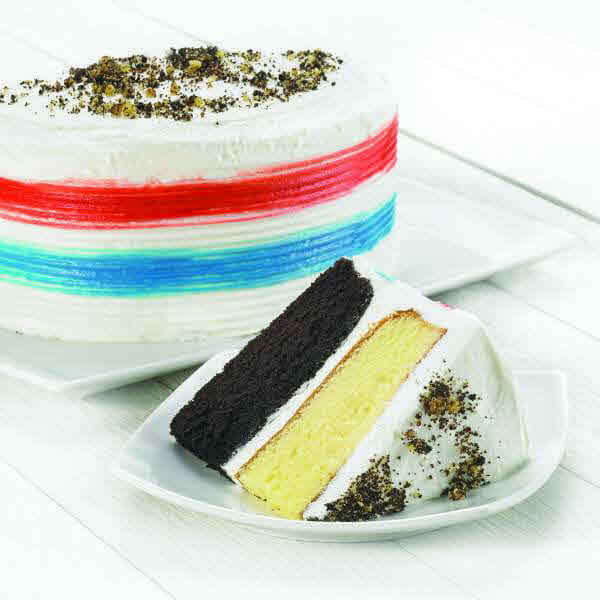 All Giant Eagle bakery cakes can be ordered as a single layer of cake, a layer of cake split and filled with icing, or a layer of cake split and filled with fruit or custard. The standard Giant Eagle cakes come with a rose design or balloon in the corner, a personalized message, and a decorative border around the top and bottom. You can also pay extra to get a Giant Eagle sheet cake topped with a licensed character or a special, elaborate design. 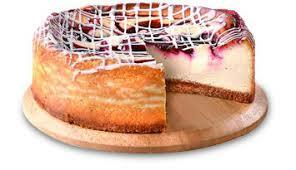 Other specialty options are the Giant Eagle ice cream cakes and the Cassata cake made from sponge cake soaked in Bavarian cream. Giant Eagle also sells delicious wedding and stacked cakes, licensed cakes, graduation cakes, cheesecakes, and message cookie cakes. The standard Giant Eagle sheet and round cakes are ideal for a birthday party because you can easily choose a size that will feed all your guests. You can get celebratory balloons, pretty flowers, and a happy birthday message added to the cake for free. Many Giant Eagle stores also have licensed character cakes that feature favorite characters like Thomas the Tank Engine, Dora the Explorer, and Disney Princesses. These Giant Eagle character cakes can be a fun way to celebrate a child’s birthday. Some of the licensed Giant Eagle cakes, like the Star Wars cakes and the Pittsburgh Steelers, are also suitable for adult birthday parties. Those who do not like a traditional birthday cake may enjoy the Giant Eagle cassata cakes and ice cream cakes instead. Giant Eagle’s special cake designs contain many additional cake styles for celebrating baby showers. You can get a Giant Eagle cake decorated with cute baby booties and a pastel border in either blue or pink. Other Giant Eagle baby shower designs include plastic toppers in the shape of storks and decorative banners. If you do not want to pay extra for a special design, Giant Eagle can also make their standard cakes look ideal for a baby shower. You can select a white background and a pastel floral design to make the cake match a baby shower theme. Any Giant Eagle cake can be topped with a message congratulating the parents completely free of charge. To celebrate a graduation, ask Giant Eagle to frost a cake in the graduate’s school colors. Some Giant Eagle bakeries can make a cake look even more special by adding a graduation cap topper. Whether you get a normal cake, ice cream cake, or cookie cake, Giant Eagle bakery staff can always write a message congratulating the new graduate. A lot of the Giant Eagle’s themed cakes can be appropriate for graduation if the graduate has an interest in themes like the Steelers, WWW wrestling, Avengers superheroes, or Pokemon. There are also many generic sports cakes for both boys and girls, so you can easily find a Giant Eagle cake for a graduate who played on their high school athletic team. Giant Eagle’s customization abilities let you select a unique wedding cake for your special day. To get a wedding cake from Giant Eagle, you will need to first meet with a cake decorator and see which designs are available. Giant Eagle wedding cake prices are a little higher than their sheet cake prices, so it can range between $1 to $2 per slice. 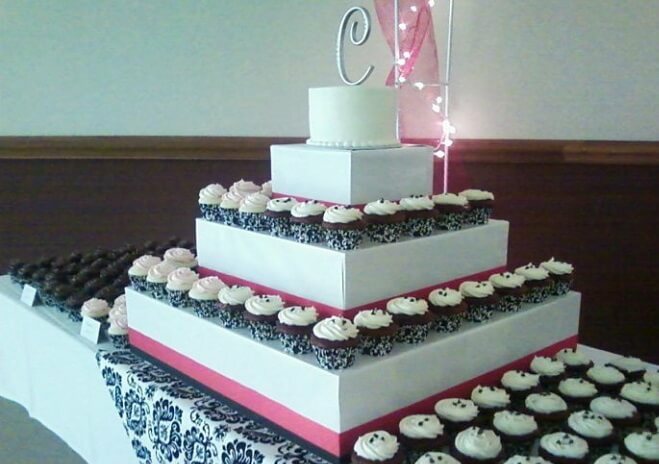 Most Giant Eagle wedding cakes are tiered designs that are decorated with elegant patterns in either white or the color of a wedding. You can also select flowers from the Giant Eagle floral department to decorate the cake. Giant Eagle will deliver wedding cakes as long as the wedding location is not too far away from the store. The bakery can provide customers not only with delicious cakes but also with delightful cupcakes, donuts, cookies, and pastries. The Giant Eagle cupcakes are available in season colors and gourmet flavors, to satisfy the tastes of all guests. Seasonal varieties of donuts are also available at Giant Eagle, and you can order a dozen for $5 on Donuts Fridays. Classic cookies are excellent for any party trays. You can impress your guests with the mouthwatering Giant Eagle cookie trays that may include all sortments, from chocolate chips to oatmeal raisins, from peanut butter to all-butter. The Giant Eagle pastries include treats like muffins, brownies, cinnamon rolls, coffee cakes, and pound cakes. Brownie trays or loaf trays from Giant Eagle will be a delicious addition to any small or big party. If you want to add a traditional vibe to your event, you can order Giant Eagle pies that are available in both classic and seasonal flavors: apple, blueberry, cherry, peach, etc. They also have a selection of yummy homestyle bread, rolls, bagels, and croissants. You can talk to your nearest Giant Eagle bakery store to check out the prices for special orders. To get a cake from Giant Eagle, you can either pre-order a cake or select a readymade cake. Store staff can personalize a readymade cake by adding a brief message while you wait. If you want to customize the flavors, designs, and frosting colors of a Giant Eagle cake, you will need to order at least 24 hours in advance. Giant Eagle cakes can be ordered at the store, over the phone, or by filling out the online form. You can find any store’s address and number in the Giant Eagle store locator by searching for the name of a town near the store. At Giant Eagle, customers have a lot of cake flavor choices and design styles to pick from. You can easily find a Giant Eagle cake that will work for any birthday, shower, or other events. 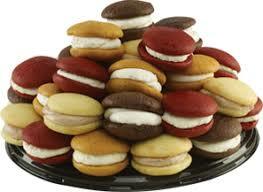 Leave a comment below to let us know what you think of Giant Eagle cakes and bakery products!